Part of the HIIT range from Stairmaster, the rower provides users with as much intensity as you want, with little or no impact if rowing performed correctly. With it's fan resistance you can increase or decrease the resistance as required. With key metrics from the console this is a great addition to a home or studio gym. High intensity interval training is proven to get you results. This rower frame is made from aluminium and steel with a powder coating finish for durability. Easy to store vertically, almost anyone can use a rower for as long or as little as you want. Comes with a 10 year frame warranty. If you want to improve your cardio fitness, rowing is one of the best options for a high intensity workout that doesn't also include high impact. Stairmaster have create the HIIT rower to complement the other HIIT products including the HIITMill X, HIIT Bike, HIIT UBE and the BoxMaster. A high intensity workout on a rower is a hard workout whichever way you look at it. Using most of the large rmuscles in your body, keeping your core strong and powering your legs, back and arms is more difficult than it sounds, but the rewards justify the pain and effort. 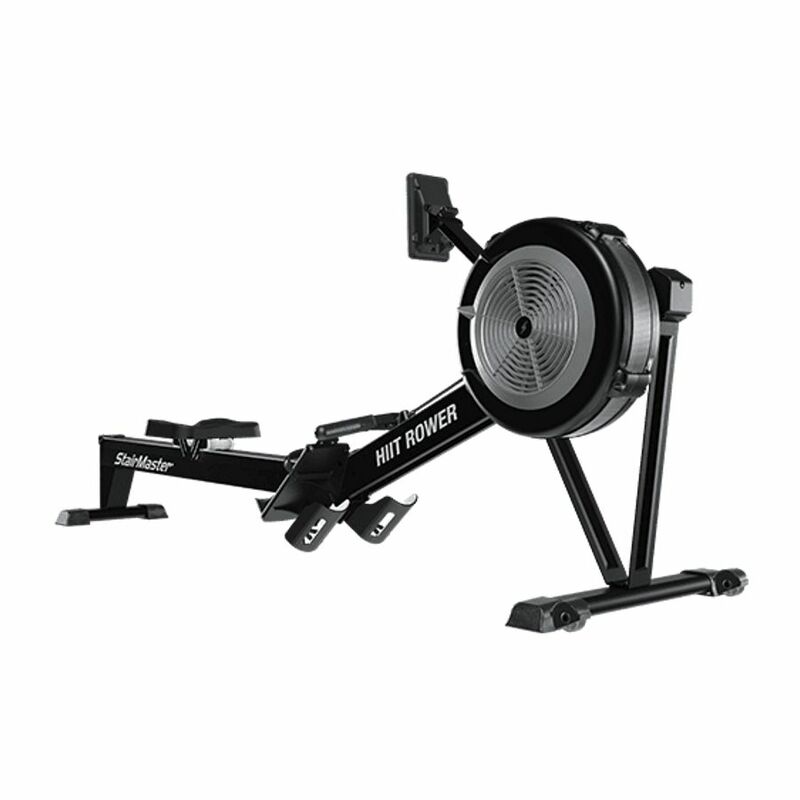 Comparing a rower to other cardio machines - the rower wins every time. 10 Year Structural Frame Warranty. 2 Years Parts. 1 Year Labour.